Fine motor skills refer to the mastery of small movements. This phrase usually applies to hands, wrists, fingers, and even toes. The right online CDA classes can show you how to help your students develop their small motor skills in all kinds of ways. One of the things you will learn in many CDA online classes is that fine motor skills can be honed through play. For example, stacking blocks requires fine motor skills as does drawing. When children engage in these activities, not only are they enjoying their play experience, they are also learning as well. To combine creativity and fine motor skill development, you may want to have your students explore clay or playdough. These mediums are timeless classics that still appeal to children raised in the digital age. With a simple piece of playdough, children can tap into their creative side and strengthen fine motor skills as they make animal shapes, craft other inventions, or use cookie cutters. Displaying children’s work is another great way to encourage their investment in various learning experiences. To this end, you may want to have students use safety scissors to cut out shapes for collages that can be displayed around the room on the children’s level. Alternatively, if your students aren't old enough for scissors, you may want to have them draw shapes which you can cut out, or have them use their fine motor skills to create other pieces of art that you can display in the classroom. If you want more ideas for helping students develop their fine motor skills, take one of the online CDA classes focused on fine motor skills. Depending on where you are in your educational journey, you can use these classes toward getting your CDA credentials or renewing your CDA. Depending on the age group you teach, you may want to take Fine Motor Activities for Infants, Fine Motor Activities for Toddlers, or Fine Motor Activities for Preschoolers. This is an hour long course worth 0.10 CEUs that helps you identify fine motor development milestones, and it also helps you identify how to foster the development of fine motor skills in children under the age of 18 months. Similar to the infant course, this is another one of the hour long online CDA classes worth 0.10 CEUs. In this course you explore toddlers’ developmental milestones and how to encourage this development in the classroom. The lessons are focused on children ages 18 months to 3 years old. 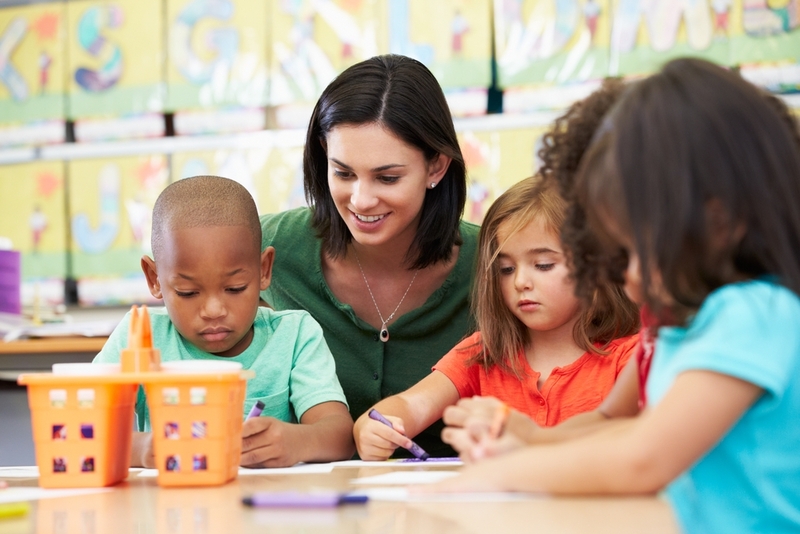 This final course tackles fine motor development and activities for three to five year olds. In this class, you will explore typical milestones for this age range and how to encourage fine motor development. In addition, the course will also share information about early writing lessons for children. To learn more about fine motor skills, gross motor skills, or childhood development in general, sign up for online CDA classes with ProSolutions Training, or take a look through our online catalog to see the classes we offer.